Win one of three Family Passes to Dairyland Farm World! 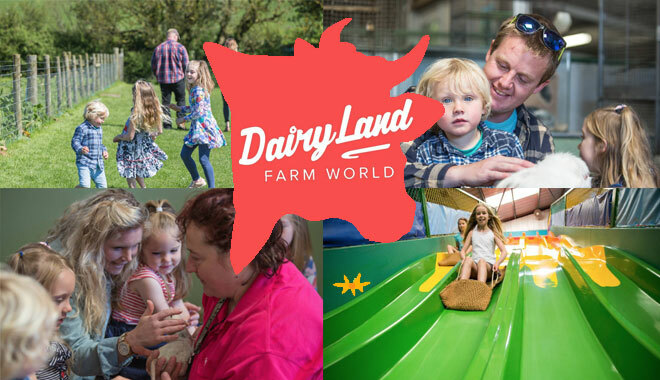 We've teamed up with the fantastic Dairyland Farm World just outside Newquay to give you the chance to win one of THREE family passes to use this February Half Term. It can be a challenge to keep the family entertained over the holidays. That's why Dairyland Farm World offers a fantastic adventure park to suit all ages. From slides to the nature trail, tractor rides and pony rides, to milking the cows, feeding their animals and touring the museums. 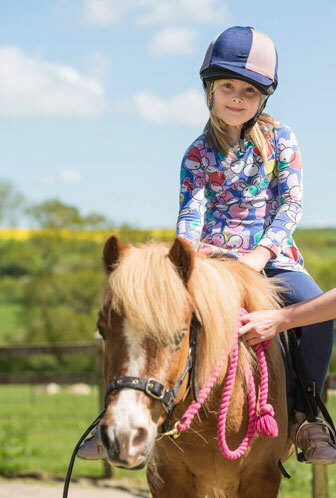 A visit to their fun farm promises a great value family day out! If the weather’s not so good, don’t despair! – Dairyland offers a whole host of family fun all under cover including The Bull Pen – a Massive Indoor play centre, tour the milking parlour and take part in the milking of the cows, browse the interesting and factual farm museums where you can explore Cornish farm life throughout the ages and not forgetting Clarabelle’s kitchen café with a wide range of great value food and drink. Find out more about Dairyland on their website here, or follow them on Facebook here. To win all you need to do is fill in this form. Simple as that! Stay tuned to Radio Newquay for your next chance to win! The prize is one of three family passes, which are valid only during February Half Term 2019 (18th - 24th February 2019). A family pass is up-to five people. Only one entry per person is allowed. Further entries will be disregarded. Competition closes at 7pm on Sunday 17th February 2019. We will announce the winners, picked at random during the Breakfast Show on Monday 18th February 2019. 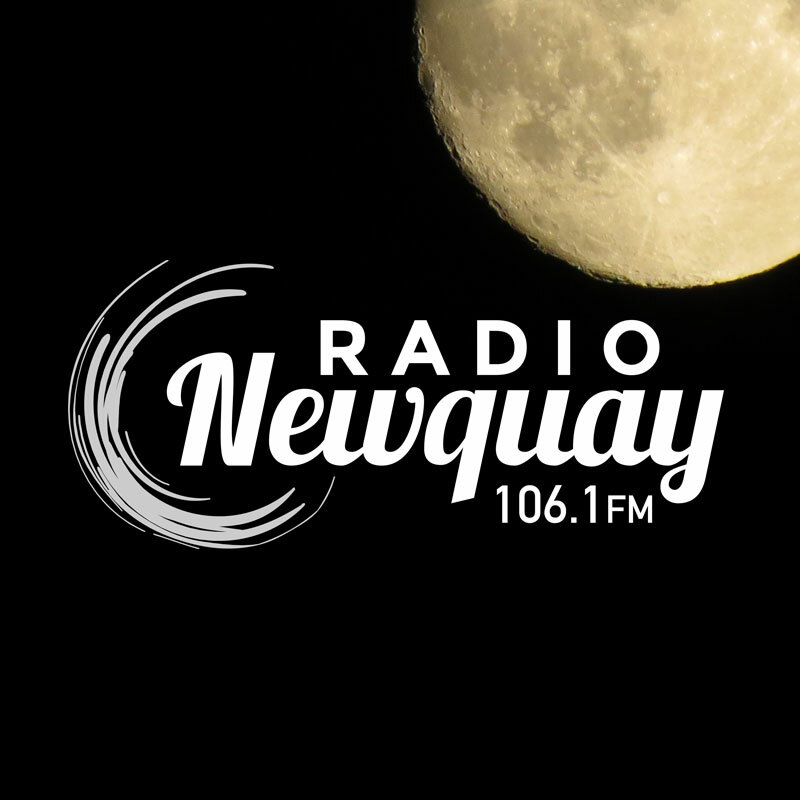 If you are picked as one of the winners, you will be expected to either collect the voucher from the Radio Newquay Studio at Prow Park in Newquay, or arrange an alternative means of receiving the voucher which is agreeable with Radio Newquay. This competition is run in conjunction with Radio Newquay's standard terms and conditions and rules of entry which are available to view on this website. You also agree to abide by Dairyland's terms and conditions of entry and they reserve the right to refuse entry.